Dedicated to providing you with the highest quality, cost effective dental care. 15 years of dentistry experience and 2000+ smiling patients! Going to the dentist can be frightening when it shouldn’t be. 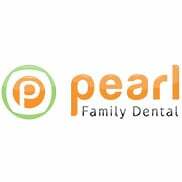 At Pearl Family Dentistry, we make it our mission to provide the friendliest service around. We want you to feel comfortable when you arrive and satisfied when you leave. It is our responsibility to administer the care you require to help get your teeth back to chomping condition. The best dentist in town. Our dentist, Dr. Saumitra Saravana, has over 15 years of experience in the field and is an expert in most dental procedures. He practiced dentistry in India before pursuing additional training at Tufts University School of Dental Medicine in Boston, MA. He furthered his skills by working under a number of mentors and was awarded the Fellowship of the Academy of General Dentistry in 2011. Our main services include general and emergency dentistry. In addition to this we provide cosmetic and pediatric dentistry. Should I get a Night Guard From My Dentist?